Agriculture Minister meets with northern mayors, farmers after operation commences, discussing efforts to strengthen regional agriculture. Agriculture and Rural Development Minister Uri Ariel toured the Upper Galilee and Golan Heights this morning after Operation Northern Shield commenced to neutralize terror tunnels in Lebanon. During the tour, Minister Ariel visited border agricultural areas and held a discussion with council heads from the north of the country. "There's no reason why Nasrallah should sleep quietly in his bed. The State of Israel is prepared for every scenario," he said of the military operation. He referred to meetings with farmers and council heads in the north. "During the meeting with council heads, we discussed challenges for farmers in the area, including the challenge of the drought. As I said in the past, I'll continue to fight against water cuts in agriculture, and in addition to the decision to strengthen the north, I decided to promote an agricultural tourism program in the area that will benefit the entire region." 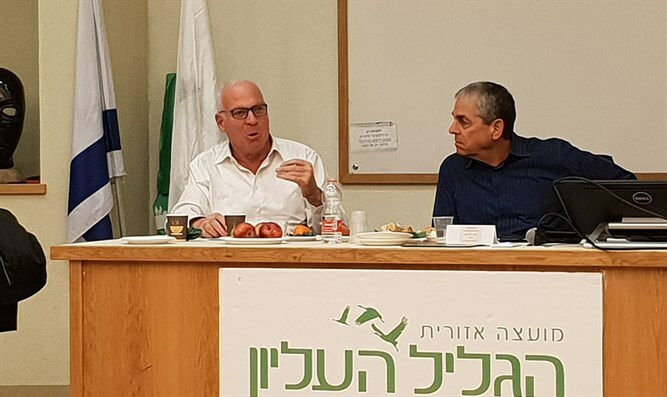 Upper Galilee Regional Council head Giora Zaltz who hosted the meeting told the Minister, "Our security here in the north is based on the strength of the IDF, and on community and economic strength of which agriculture is a significant component. Damage to the livelihood of the residents harms their security." Zaltz and his colleagues raised a number of issues to gain the Minister's support, including reducing the price gap in agricultural produce, promoting the Encouraging Capital Investments in Agriculture Law, and authorizing protection for agricultural workers. Galilee Development Company Chairman Uri Dorman told the Minister "the beef cattle sector is in distress and Section 16 of the dairy agreement will cause its collapse." Dorman added that "cutting water for agriculture is now required by the government's announcement of 2019. The government must now determine the level of compensation for the cuts so that the farmers can plan the next agricultural year."